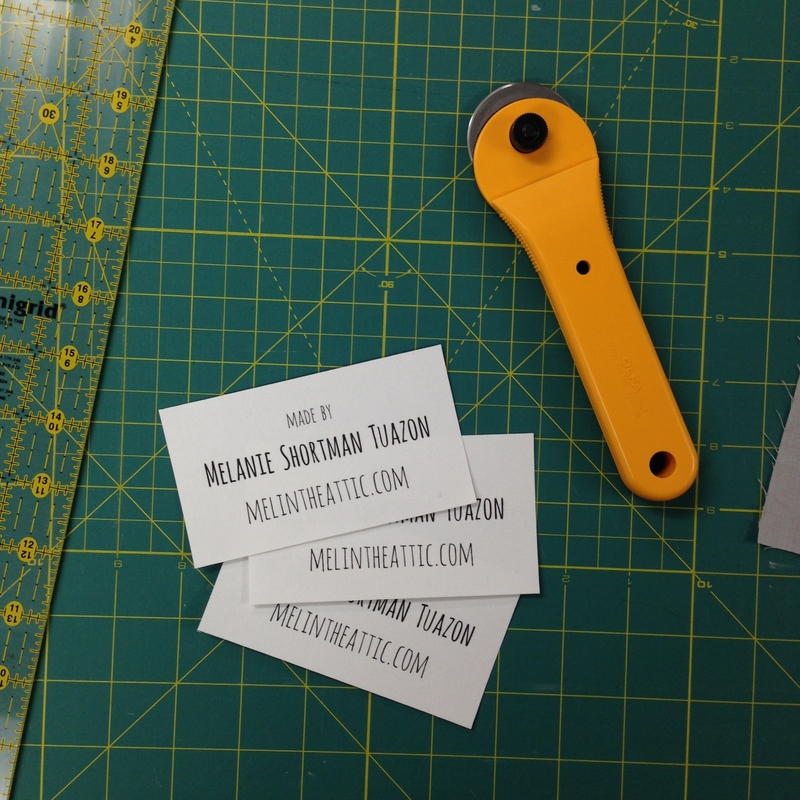 Sometimes a busy day in the life of a quilter doesn’t actually involve quilting itself. It’s so fun to look at beautiful pictures of colorful scraps and imagine the fabric possibilities, but today was an example of a day where everything revolved around quilting, but I barely sewed or cut or pressed. I started my day with a drive over the New York border to deliver some quilts of mine to the Warwick Valley Quilt Guild for their show being held May 17-18. They’re a big guild, and a few of their members are also NJMQG members, so they encouraged us to enter our quilts. I have never made a quilt for a show or entered one, so it was nerve wracking to think about my quilts being inspected by judges. Despite my nerves, I entered three (one will not be judged) and got so much kind encouragement from the women there. I’m hoping to use any feedback to learn and improve, and to use the whole experience as an exercise in courage. I sure needed that courage as my quilt was inspected and de-linted and signed into the official log books. Back in Jersey, I headed to Rock Paper Scissors, the LQS where I teach, to check in with Beth and add some labels to some samples of mine that are headed to Pittsburgh for Quilt Market. We’ll see if they’re displayed– I always love scouring Instagram for pictures of pretties from Market. There was happiness and excitement and the stress of a deadline. In the afternoon I met up with some guild members to attend the wake of one of our beloved quilt friends, Peggy Kelleher. Peggy was an amazing force in NJMQG– there’s more information about her on the guild blog– and it was emotional to remember her and pay respects to her family. She was surrounded by her quilts at the funeral home, and that color reminded me of what a positive force she has been to everyone who knew her. She is already missed. I’m exhausted, so there will be no sewing tonight. But I’m reminded today of all the positivity and beauty that quilting adds to my life. I am a braver, more confident, inspired and thankful person because of it. I’m sad too, but because of the loss of such a good person. At NJMQG we do a name tag swap, and I got paired up with Peggy when we started it about a year ago. My favorite part of my name tag has always been the back, which only I get to see. I feel lucky to have this little piece of Peggy with me, especially after a long day full of big feelings. 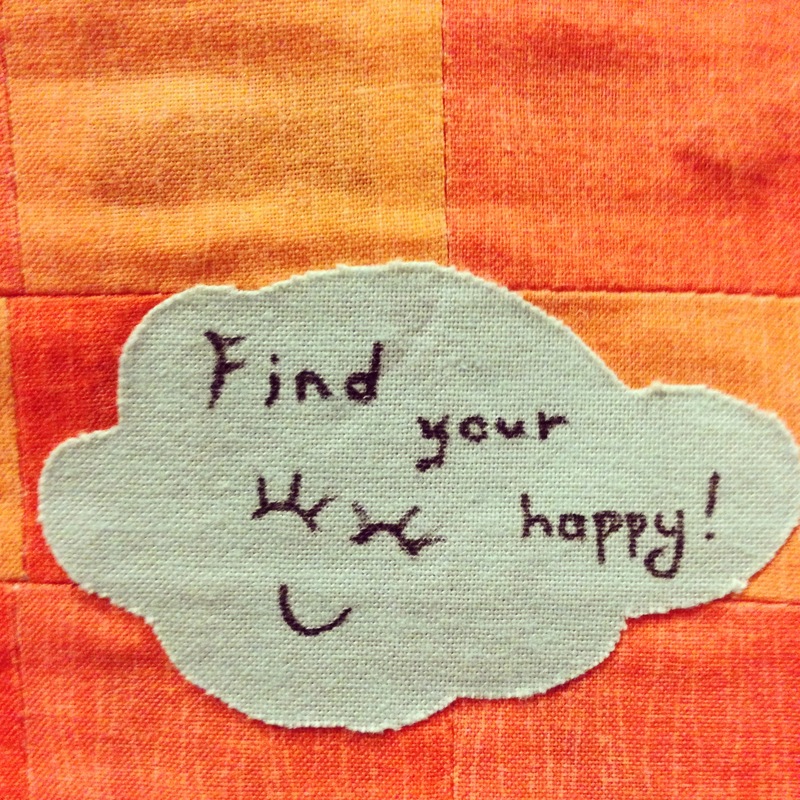 Even with all the ups and downs, my happy is in this quilting world. Today was my reminder of that. *sniff* *sniff* Sending a big hug to you tonight. And, one to Peggy too. Love this post Mel. And I will send snaps of your beautiful pillows at Spring Market. Glad I could make that happen for such a talent as you. I’m sorry for your loss Mel. Your post is a lovely tribute to a friend who clearly contributed so much.